On June 12, 1605, Captain Geoge Waymouth, English navigator/explorer, anchored his ship at the base of the St. Georges River after first making landfall at Monhegan Island. While exploring in the area, it is believed he explored the Georges River in a smaller exploration vessel called a light horseman. He placed a marker in Cushing on the west bank of the river and then planted a second cross at the bend of the river at the approximate location of the Thomaston Town Landing. 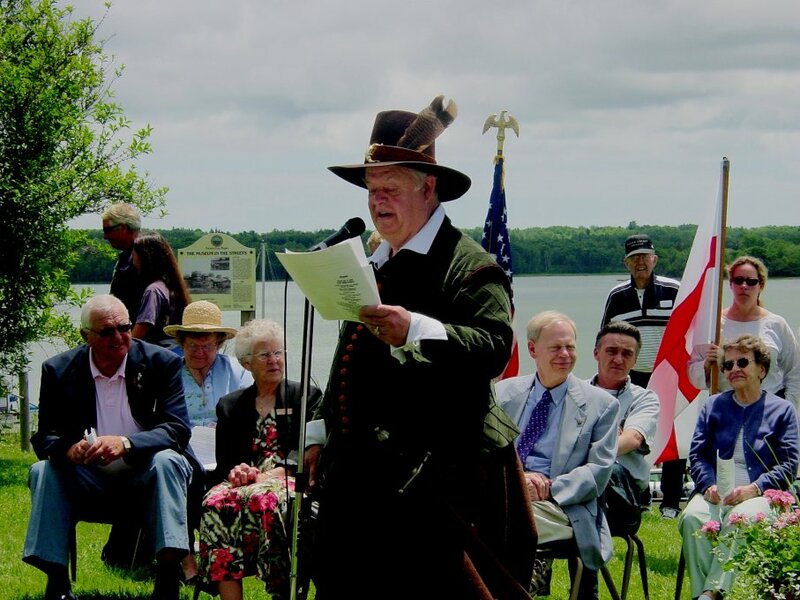 On July 6, 1905 the Maine Historical Society, along with Thomaston citizens, officials and people from neighboring towns, gathered to celebrated the 300th anniversary of Waymouth's arrival. Over two thousand people were in attendance. The Cutter Woodbury, Steamers Castine, W. G. Butman and Bristol led a number of smaller craft on an excursion to Pentecost Harbor at Allen Island at the mouth of the Georges River (also known as the St. Georges River). It is believed this is where Waymouth anchored with his ship "Archangel" and that he erected a cross on Allen Island. A granite cross was unveiled, a flag raised and a 21 gun salute was fired by the Arkansas. 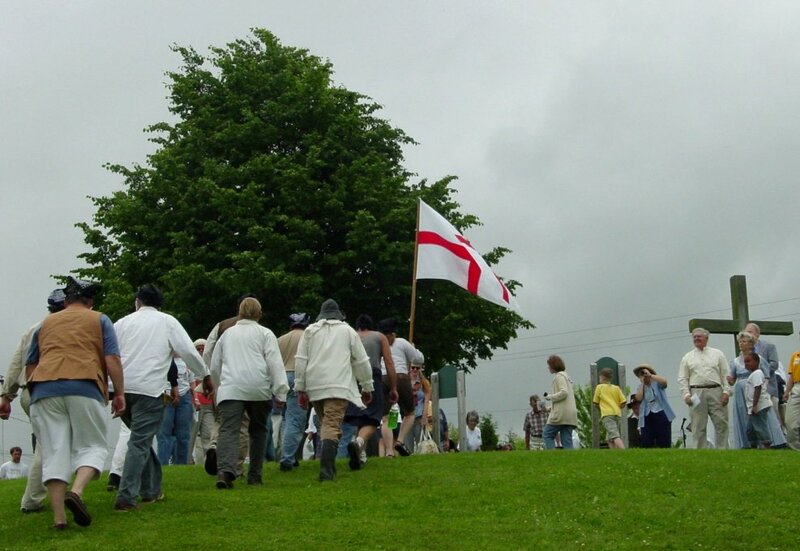 The procession returned to the town landing, whereupon another salute was made at the site where a second cross had been erected. A procession formed to march up Knox Street to the town Mall, accompanied by a band and 125 school children. Ceremonies were held at the Mall, a small public green on Main Street, a memorial boulder was unveiled and various events took place throughout the afternoon and into the evening. 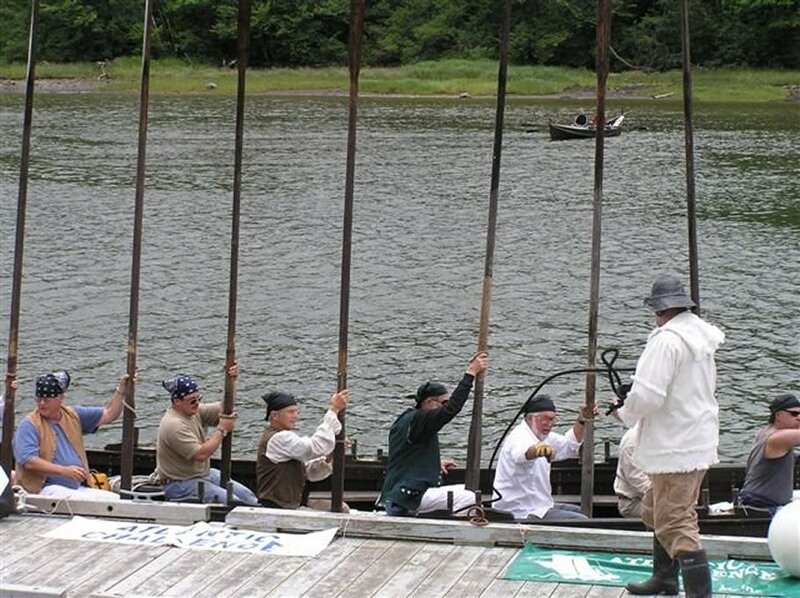 In June 2005, the Thomaston Historical Society organized a similar celebration for the 400th anniversary. 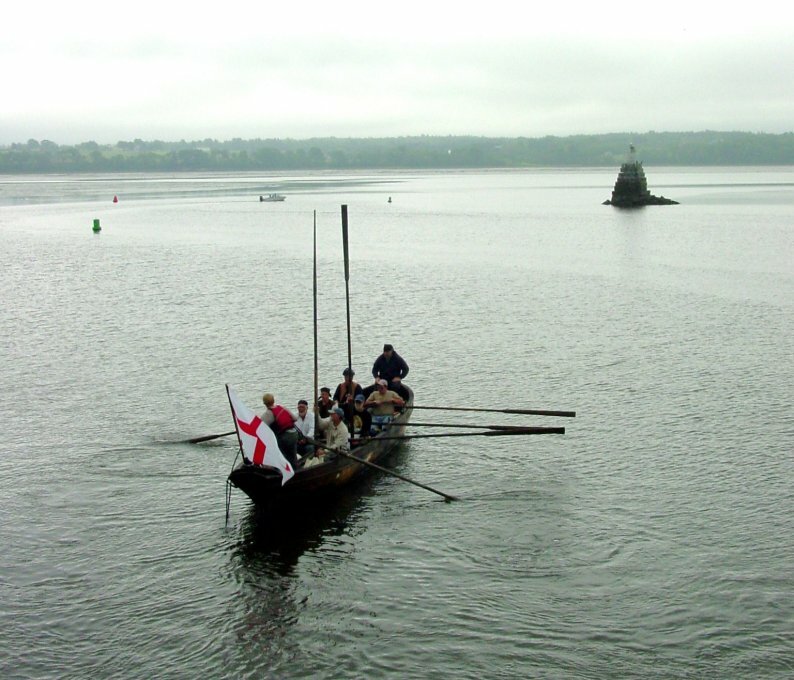 Called "The Georges - A River of Discovery," the two day event was planned with various events taking place. We honored the memory of Captain George Waymouth's early explorations by celebrating the heritage of the Georges River and its importance to all of the communities bordering its length. It is important that we continue to appreciate and protect this river, one that has played such an important role in each of our towns' rich historical achievements. In 2005, Master of Ceremonies Renny Stackpole welcomed the assembled guests and gave a brief history of Waymouth's explorations. Invited dignitaries, speakers and guests were introduced. The theme of the day was an acknowledgment of the importance of the St. Georges River and its role in the successful development of Thomaston and bordering communities. Following the ceremony at the town landing, visitors and guests had a variety of events and activities of which to partake. Environmentally focused groups set up information and public outreach booths of interest at the town landing. Among them were the Georges River Land Trust; Georges River Tidewater Association; Audubon Society; and the Clammers Association. T-shirts, buttons, posters and mugs, sold on that day, are still available at the Thomaston Historical Society building and over the society's Web site. Photography for the 2005 celebration was contributed by Lorna Prescott and Gail Ladd.